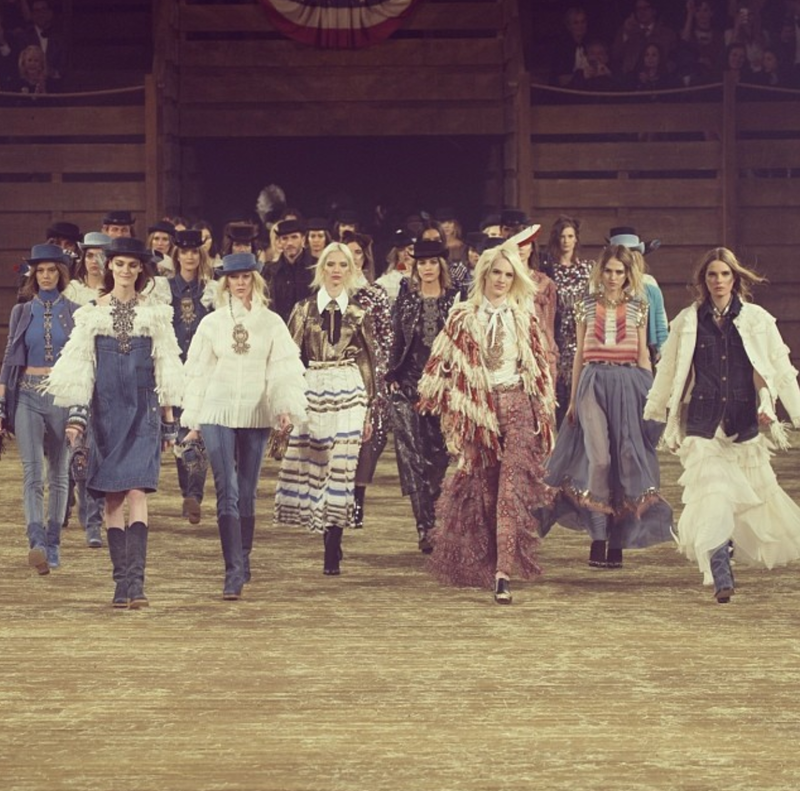 As a born and raised Texan, I was thrilled (and a bit confused at first) that Uncle Karl and his Chanel crew descended up upon Dallas, Texas last night for the French fashion house's Metiers d'Art Pre-Fall 2014 show. This event is probably the biggest, most important and most epic thing to happen in the Dallas fashion scene in decades! 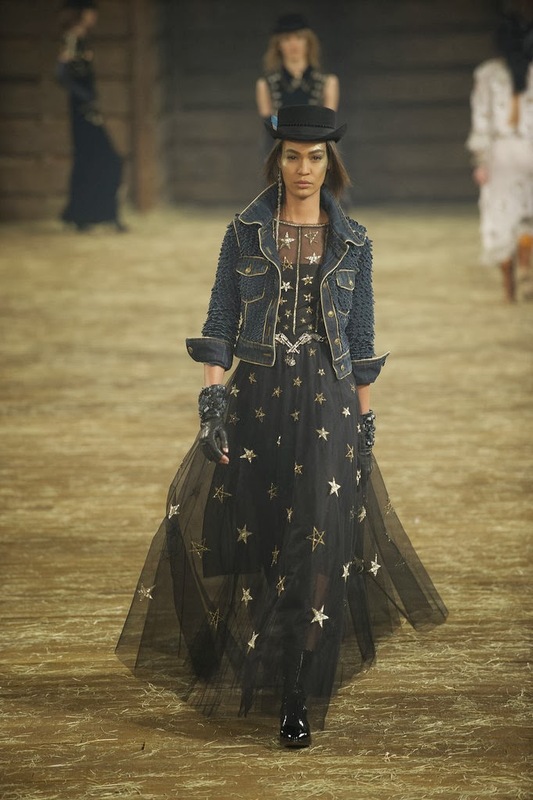 Chanel's Metiers d'Art show travels each year to a city that is important to the brands history such as Tokyo, New York City and London. 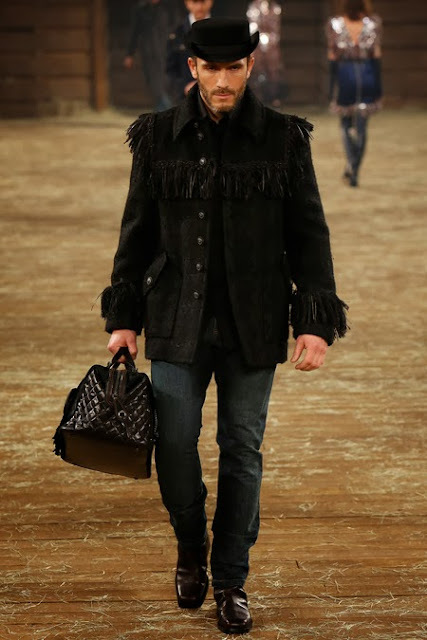 Lagerfeld chose Dallas for this years show because Dallas-based luxury retailer (also a sister store to Bergdorf Goodman) Neimen Marcus played a vital role in Chanel's return after Coco reopened her Paris Couture house in 1954. It was closed when Europe entered World War II (Oh, now this all makes sense). 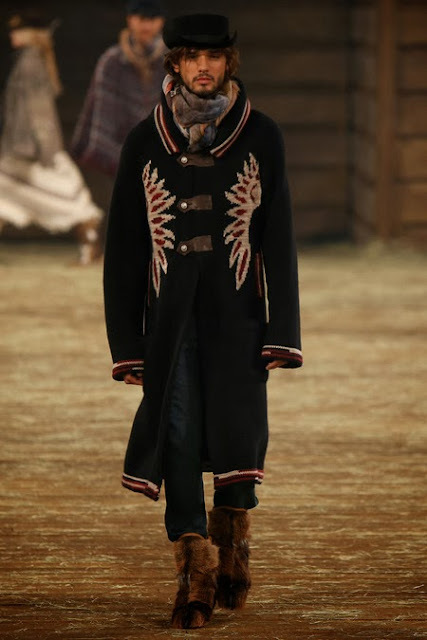 The clothing for each Metiers d'Art collection pays homage to each geographical location so as you would expect, the Dallas show had a "Cowboys and Indians" vibe to it. 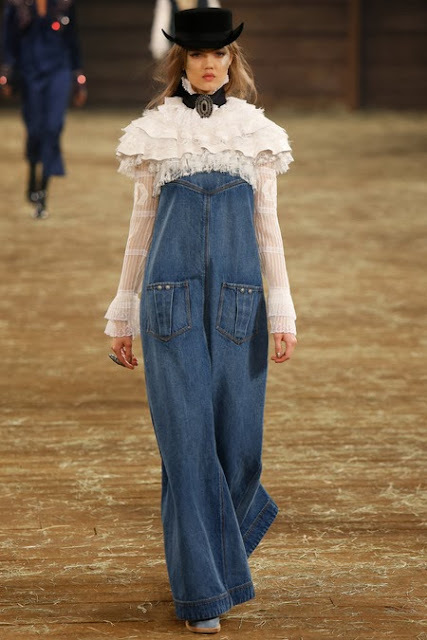 It makes sense as the 90's are going strong that fashion is now heading into trends from the early 2000's (Remember in '02-'03 when denim and western was all the rage). Check out the gorgeous designs and photos from the THREE PART event below! 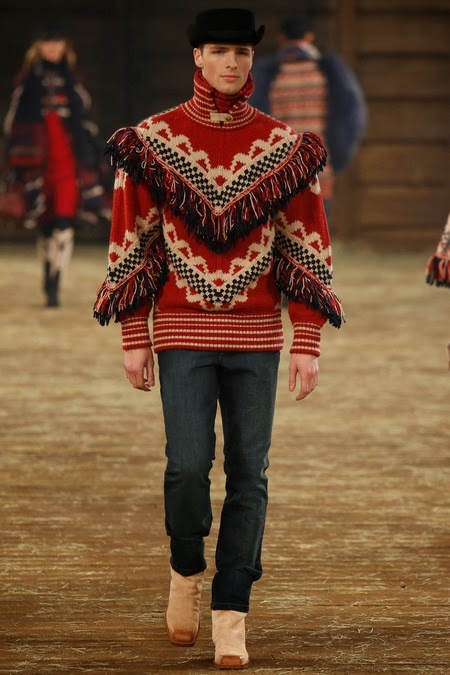 Disclaimer: I wanted to look at this collection and quote Kerry Washington in Save the Last Dance, "It's country and you look country in it," but I fell in love with so many of the looks! 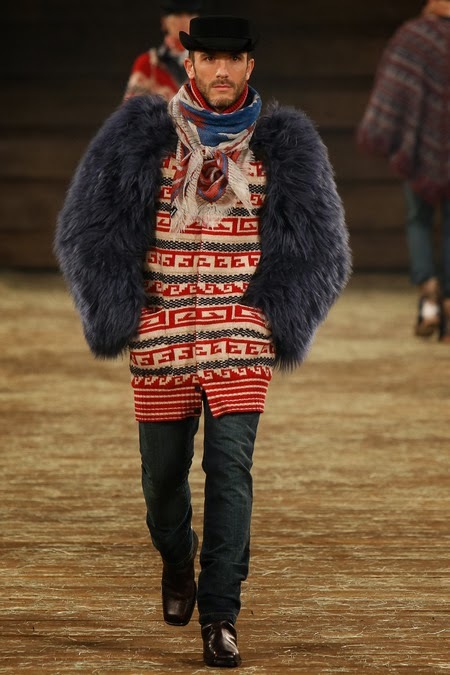 The menswear in this collection is SICK! As Tim McGraw puts it, "I guess that's just the cowboy in me." A plethora of vintage convertible cars and trucks were brought in so that guests could view Karl Lagerfeld's film "The Return" which retraces Coco Chanel's steps as she reopens the fashion house after a 15 year hiatus due to WWII. First of all this is just a brilliant idea to begin with but who knew that it would create the most epic fashion meme in the history of fashion memes (brace yourselves). 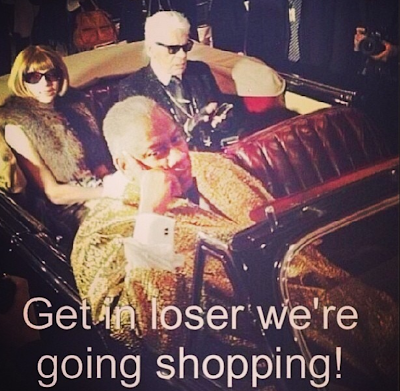 Anna Wintour, Karl Lagerfeld and Andre Leon Tally getting their "Mean Girls" slash "To Wong Foo" on in a vintage car. DEAD! I did not show many of the women's looks because most all of them were stunning (and super easy to find online). 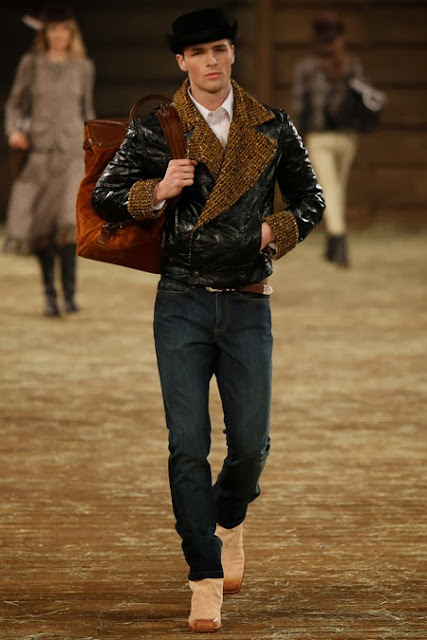 Also it is hard for me to find a collection that has menswear that makes me super excited and yearn for everything! These menswear looks are beyond and yes I would wear any of them anywhere (Hint, hint Karl). My friend Cesar would gag over this jacket. This whole look is perfection and I need that backpack yesterday. This sweater would kill in Manhattan as well as at ANY party in Brooklyn. Let's be honest. 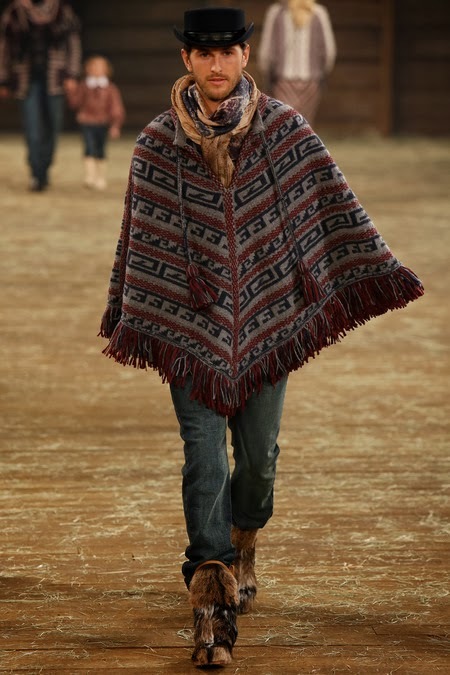 I don't need any reason or excuse to wear a cape or poncho so this is just yes in every color and those boots though! This look is everything because it has a down home feel while also looking like J.Lo's outfit that she wore when she performed at the 2013 Billboard Music Awards. Rugged and chic. Also, I have wanted a doctor style bag for years now. That Channel man bag would slay so many people walking down the NYC streets! Love this jacket! It can also come in handy for Civil War reenactments. 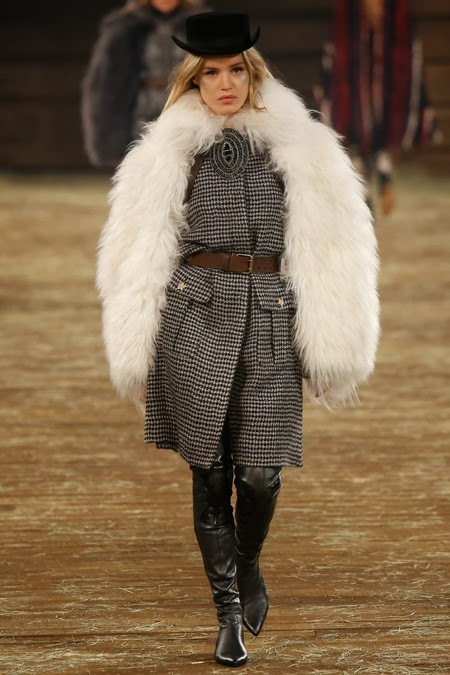 I love a good fringe, houndstooth long trench paired with dark denim and a good boot. 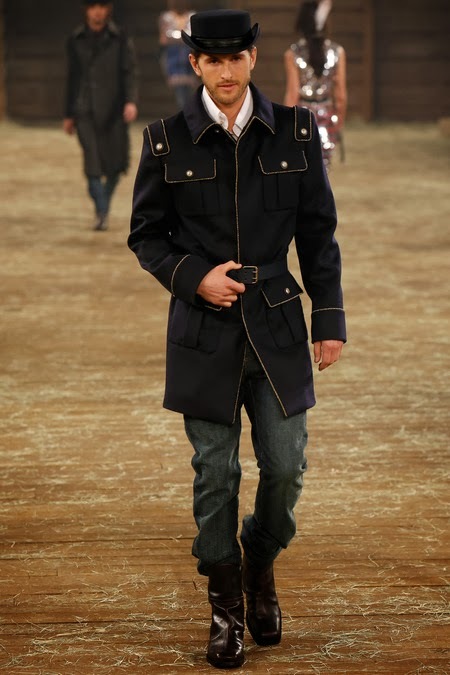 Uncle Karl wearing his everyday clothes and fitting in perfectly. This man is a genius! After the show of course it's the after party and the after party was of course cowboy themed. Models, VIP guests and the fashion elite, two stepped and lined danced the night away, rode a mechanical bull and enjoyed a fun yet slightly stereotypical honky tonkin' Texas night. I wish I could have been there! 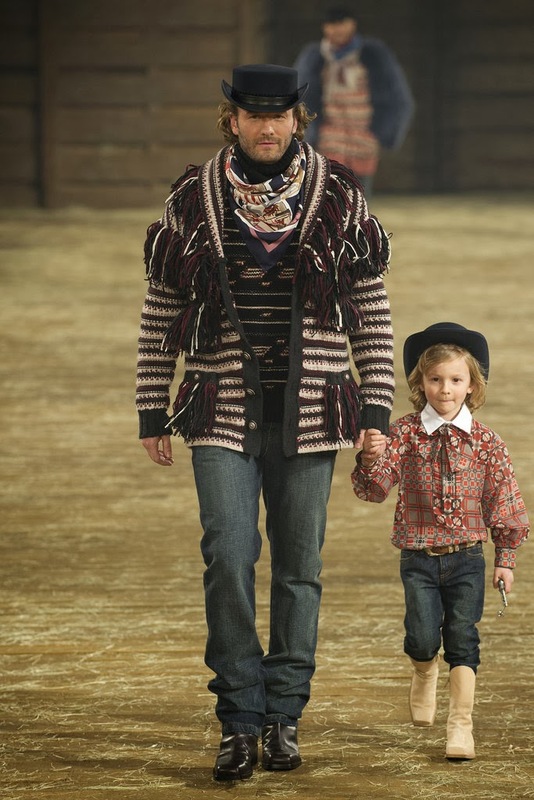 Congrats to Karl and Chanel on pulling of this amazing fete! 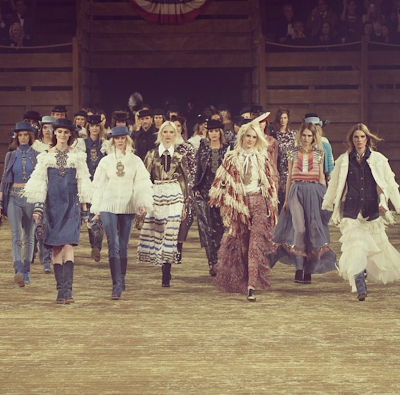 Before you go, check out this amazing video of the models marching through the rodeo-esque venue/runway below. P.S. Karl had this to say about Texas and Texans: "I love Dallas. I love Texas. They are the nicest of people. Texas is wild but I made it more romantic." Thanks KL! We love you too! 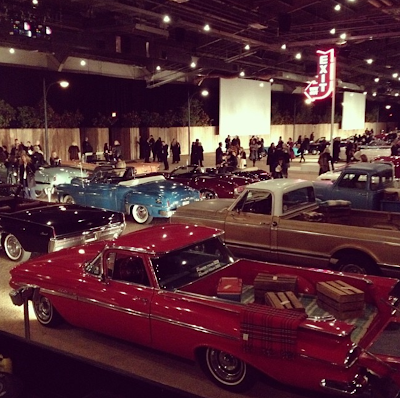 To learn more about Coco Chanel's visit to Dallas in the 50's click here. For more information about the Metiers d'Art show in Dallas click here.